You are here: Home / Brush Straighteners / Hot Fusion Brushes – They seem to do it all! 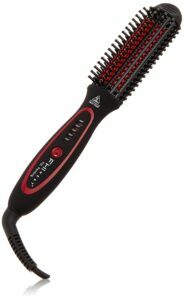 How Does a Fusion Hot Brush Work ? 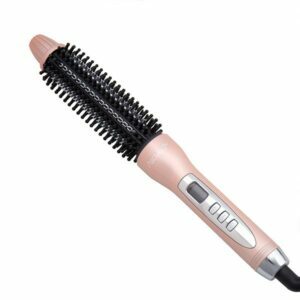 There is a new hair tool that’s arrived on the market and it’s called a Hot Fusion Brush, but with so many hot brushes available you might wonder what’s different about this one? After all, it looks like a hot curling brush but actually, it does so much more. We’re here to explain it to you in a little more detail so you understand what it does and whether or not it’s the right styling tool for your hair type. The hot fusion brush is so called because it achieves a multitude of styles from straight to curly, wavy to big hair. It removes frizz and fly away hair to deliver voluminous hair with super body, bounce and shine. You can use it for straighter hair, curling hair, big voluminous curls or even just to brush your hair it’s so versatile and gentle. 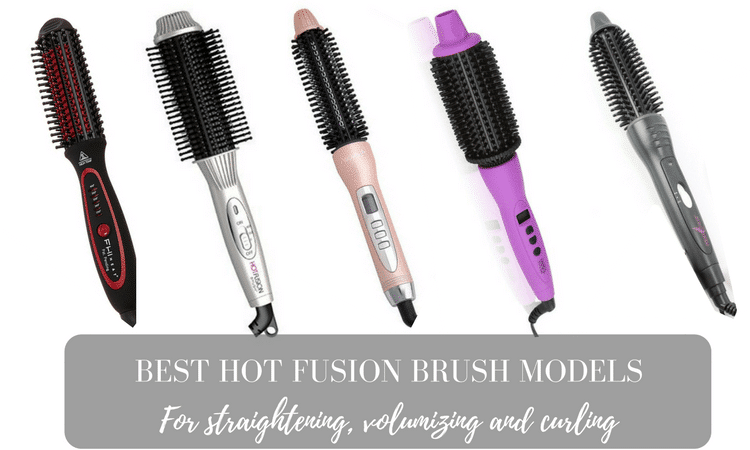 What we love about these new hot fusion brush models is that they promise salon results at home and they genuinely deliver excellent finish, whatever your hair type. It’s no surprise that these new tools are used by hairstylists and carried in their kit because they are easy to operate, fast and efficient. 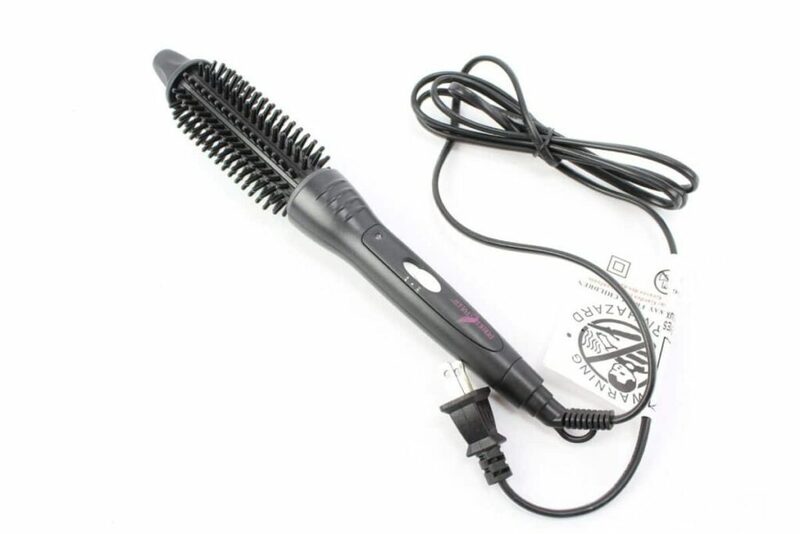 This was the first hot fusion brush available on the market and it’s not a cheap hair tool but for the money you get a universal product capable of delivering pretty much any style you want, on any hair type and any length. 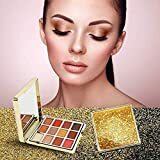 This one comes in a variety of colours and two barrel sizes to choose from, 1” (suitable for thin or short hair) and 1.5” (for longer hair, medium thick and thick hair). It has combined ceramic ionic technology so with just one brush, it eliminates frizz and static, delivering a super-smooth finish, even on course hair. It lifts hair so it’s great for dull and flat hair and it delivers superior volume. So whether you want straight hair, curly hair or big hair it delivers. The LCD display has great temperature range is good so you can choose a setting for your hair type and you can keep an eye on it too. Keep temperature low for thin and fine hair, raise it for thicker hair. We love the auto shut-off mechanism which makes it safe to use especially if you’re forgetful. This is a cheaper model and is slightly smaller than the Calista reviewed above with a 1” brush size. However, Asavea were among the first to introduce the hot paddle brush styler so they know their hair technology. 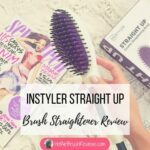 This all in one styler is suitable for straightening out hair and is far better than regular straighteners because you can achieve the flick at the bottom without the bend you get using straighteners. It also has detangling bristles so it doesn’t snag hair, gentle enough for damaged or dry hair types. Additionally, with 11 different temperature settings on an easy-to-read LCD display it’s safe for chemically treated hair. Go low if your hair is finem thin or damaged and raise it the thicker your hair is. 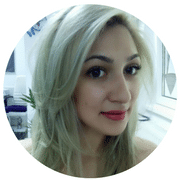 The ceramic coating delivers ionic technology so you get silky-smooth hair without any frizz or flyaway. The bristles have a cool-tip so you won’t burn your fingers, especially useful when wrapping hair around the barrel and the extra-long swivel cord helps you to reach the back of your hair easily without restriction. This one is pretty much a perfect hot fusion brush and really does deliver excellent results, plus it’s half the price of the Calista. The only fault is the barrel size. It limits you to smaller curls than the larger 1.5” available on the market. 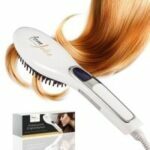 Here’s another great hot fusion brush. It promises big volume and defined curls and waves. It’s also good for straightening hair and it removes frizz and flyaway. The brush contains six rows of nylon teeth which are quite rigid but it does glide through hair and detangles too. Just make sure your hair is combed through well before use. Combining ceramic and tourmaline, it gets rid of positive ions in the atmosphere locking hydration into each strand of hair so you don’t get that frazzled look. There are five different temperature settings so it’s easy to choose the right one for your hair type and the swivel cord is very long, making it easy to reach the back of your head without twisting and turning your body. Finally, the one hour auto shut-off button makes this a safe to use styling tool. We think this one is easy to use, dry hair off and then run the Stylus through your hair for straight hair, or wind up to the root for cute curls. Alternatively, if you want lift, brush upwards from the root slowly with a little tension for best results. 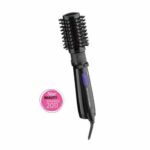 This one is a very good styler that gets to grips with most hair types and styles hair very quickly so if you’re in a hurry it’s worth the extra financial outlay. This is a great budget hot fusion brush by Perfecter. Boasting stay-cool nylon bristles and ceramic ionic technology it says it delivers perfectly smooth and silky hair with unbeatable hair and with a slightly larger barrel at 1 ¾” it’s a great option for longer, thicker hairstyles. The manufacturer states that it also doesn’t tangle hair when you use it so there’s no chance of snagging or pulling. It’s meant to be kind to damaged and chemically treated hair. The verdict on this brush is it’s good but it’s worth spending a little more for excellence. The trouble with this one is that hair can get tangled and caught in the bristles, despite the manufacturer’s promise. Hot fusion brushes come as semi- flat brushes or round brushes and many are made with high quality, robust materials that are great heat conductors, for example, tourmaline, titanium and ceramic. They also come in variable sizes, e.g. 1” and 1.5” so short hair can benefit and longer, thicker hair will enjoy the larger barrel. If you worry about temperature, they come with variable heat settings yet the bristles are cool to the touch so no burning fingers! Used correctly, these brushes are gentle enough for coloured and chemically treated hair. All contain a form of ionic technology which banishes positive ions in the atmosphere so locking in moisture. This helps to smooth the hair’s cuticle and get rid of frizz. Good quality hot fusion brushes keep frizz and static away for days in-between washing and styling. Of course, if you want to pep up your hairstyle in-between washes, a hot fusion brush works well to give root lift and volume without having to start over again. What is the Best Diffuser for Curly Hair?